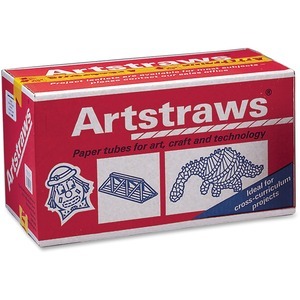 Ideal for cross-curriculum projects, Artstraws are paper tubes for art, craft, technology and design. Make everything from flowers to spaceships with these fun straws. They are easy to use. Simply bend, fold, cut or glue the thin paper straws to make all types of objects and shapes. They come with two illustrated idea/instruction books. Artstraws are designed for children ages 4 to 12.